Obituary for Christopher M. Jarnagan | Varnum Funeral Home, Inc.
Warren - Christopher M. Jarnagan, 35, of Warren died on Tuesday, March 26, 2019 at Baystate Mary Lane Hospital. He leaves two daughters, Haley M. Jarnagan of Three Rivers and Alexis Jarnagan of Belchertown; his mother, Melissa J. (Aiken) Mansfield and his step-father, Scot Mansfield of West Warren; his father, Curtis Jarnagan; his paternal grandmother, Diane Jarnagan; two brothers, Michael Mansfield, and Matthew Mansfield; his sister, Ashley Mansfield, as well as many cousins and friends. He was predeceased by his paternal grandfather, Charles “Jaj” Jarnagan, and his maternal grandparents, Raymond and Cecilia Aiken. 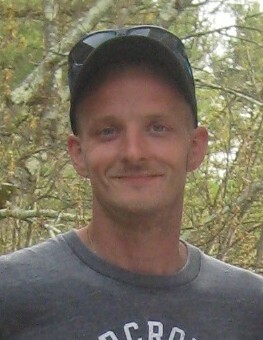 Chris worked as a mason for D&D Masonry & Chimney Co. for the past 15 years, where he really enjoyed his work. He was devoted to his daughters, Haley and Alexis, loved his dogs, and was a avid collector of the latest Nike shoes. Calling hours for Chris will be held on Friday, April 5, 2019 from 5 to 7PM in the Varnum Funeral Home, Inc., 43 East Main Street in West Brookfield. In lieu of flowers, memorial donations may be made to the “Jarnagan Girls” at any Country Bank or by mailing to: Country Bank c/o Jarnagan Girls, 75 Main Street, Ware MA, 01082.